One of the big knocks on the a6000 was the lower resolution finder, and the a6400 inherits the higher resolution EVFs that appeared on the a6300 and a6500. The a6400’s electronic viewfinder is a 2.3 million dot panel with 0.70x magnification, giving a larger view than competitors like the Fujifilm X-T30, though being a bit smaller than current flagship mirrorless cameras. The EVF showed good detail and clarity, along with good refresh. While falling short of the best EVFs on the market today, the a6400’s viewfinder is very pleasing to use. The rear screen is a 3″ 16:9 aspect ratio panel with 900k dots. The resolution is a bit low by today’s standards, though color and contrast are quite good. I’d still like to see a bit larger 3:2 ratio panel with better resolution, but I wasn’t hampered by the a6400’s rear screen in any way. When flipping the screen 180 degrees forward for selfie use, the image will flip so the view appears correct when viewed from the front. By default, when shooting stills in this position, the camera will do a 3 second self timer, including countdown, to aid in getting good self shots. Video shooters have complained that using a microphone in the hotshoe will block the forward screen, but as this is easily remedied by using a cage for the camera, it’s not a big deal in my mind. Now we come to the a6400’s headline feature: The brand new AI tracking autofocus system. The new Eye AF system and tracking autofocus that debuts on the a6400 will be coming in full to the A9 and in part to the A7 III and A7R III. A lot has been made about this new system, and for good reason: the a6400’s autofocus is fantastic. The a6400 uses the same sensor (with a few tweaks) as the a6300 and a6500, with 425 phase detect AF points that cover around 88% of the image frame. General accuracy and speed are very good, but the camera doesn’t really break any new ground with regards to single-shot AF or continuous autofocus with the standard modes, though these have had minor improvements as well. Where the a6400 shines is in the new Real-time Eye AF and Real-time tracking AF modes, where the camera brings general usability to a new level. For portrait work, the new Eye AF algorithms are constantly active, and will grab the nearest eye and not let go, whether your subject changes position, temporarily blocks their face, or simply moves wildly. The camera will continue to grab the eye when visible, and simply track the head when it becomes obscured. It’s almost unnerving how well focus stays on the eyes, and it made grabbing candid shots of my children extremely easy, even when they were moving erratically. 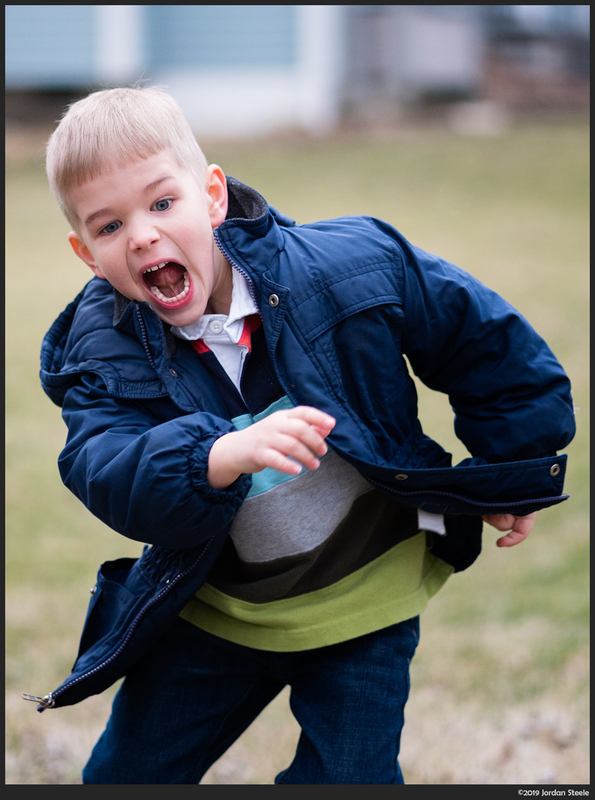 The shot below was taken in a burst with the FE 85mm f/1.8, where I asked the subject to simply ‘go crazy’ while running around. While the camera doesn’t manage a 100% hit rate in this scenario, it was very good, yielding about 85% accuracy in this worst case scenario, and near 100% accuracy in more normal movement situations. As a result, the camera is outstanding for candid portrait work or event shooting, allowing the photographer to simply focus on composition, rather than the constant dance of focus-recompose, or the constant movement of focus points around the frame. One area where the real-time tracking proved to be exceptionally useful was when shooting macro. Typically, hand-held macro yields a rather low hit rate of perfect focus simply because of the exceptionally shallow depth of field, which can cause shots to go out of focus simply from the natural movements of your body when trying to hold still. When depth of field is 2-3mm, maintaining that super-stable position is very difficult. 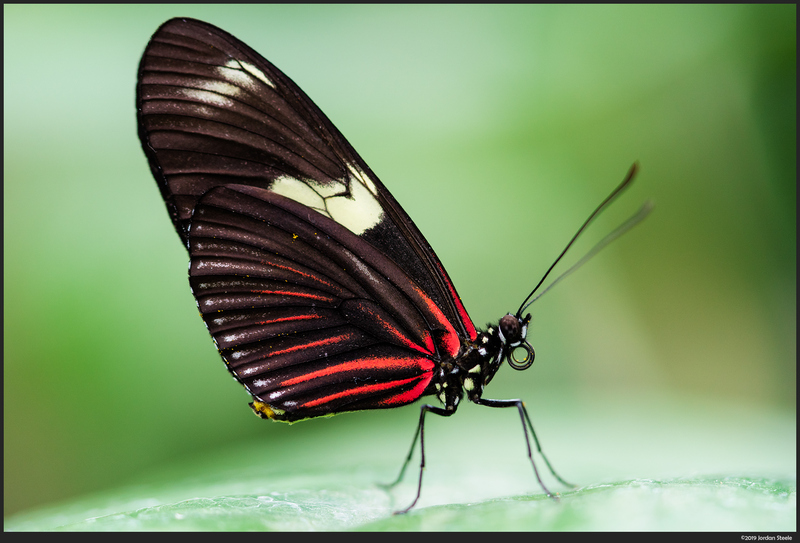 When I shoot insects, even larger ones like butterflies, I will typically have a hit rate of around 30% in absolutely perfect focus with my other cameras. The others miss due to minor subject movement, wind or simply a gentle rocking of my body naturally while breathing or from an inability for muscles to completely lock down my body position with the camera. With the a6400, when shooting butterflies, my perfect focus hit rate was near 90%. You can simply place the focus point (in this case, expanded flexible spot with tracking) over the eye of the insect, and then the camera will track that and keep it in focus regardless of body movement, subject movement or even recomposition. For the shot below (and others like it in the image samples), I would simply lock focus on the eye, then subtly change composition until it looked just right and then snap. No need to refocus or change anything. It made shooting macro more enjoyable and ultimately much more successful. The sum total of the autofocus improvements results in an extremely robust AF performance that is probably the second best among all Sony E-mount cameras. The A9 still has an accuracy advantage due to the extremely fast sensor readout, and just gained the a6400’s real-time focus modes in a recent firmware update, but the a6400 is a step above the already excellent AF on the A7 III and A7R III. 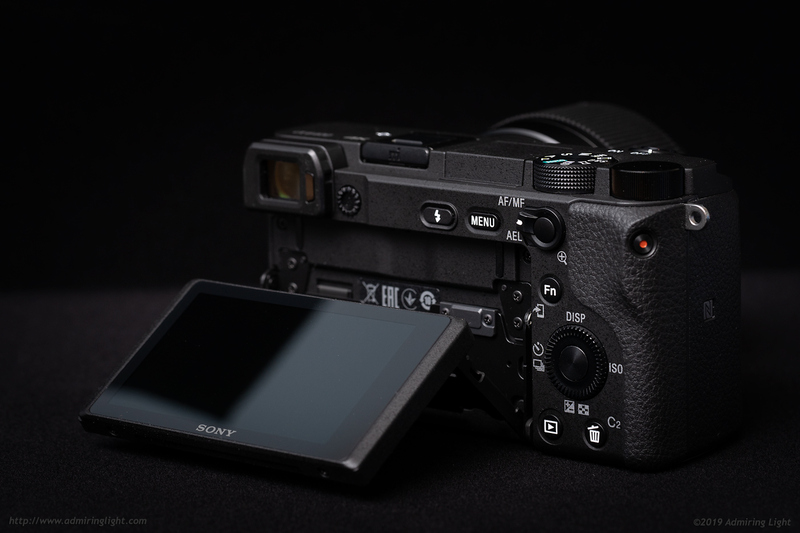 The a6400 features the same Bionz X processor as the Sony A9, giving it the processing power to perform the complex calculations for its real-time tracking features, and it also results in a fairly responsive camera overall. Shutter lag is minimal for a camera in this price class, and overall responsiveness in the menus and camera menus and settings is on a high level. The a6400 has the same burst rate abilities of its sister cameras, with 11 fps burst shooting available with continuous autofocus, but will show the last image captured in a slide show at that rate. Lowering the burst rate to 8 fps results in full tracking with a live view. Buffer depth of the a6400 sits in between its sister cameras. The a6400 can rattle off around 46 frames in RAW+JPEG (extra fine) or over 100 JPEG images in a single burst, which should be deep enough for most action shooting. This slots in between the a6300’s 21 frame RAW buffer and the a6500’s large 100 frame RAW buffer. Despite the smaller buffer, it allows for a full 5 seconds of continuous shooting at 8fps before slowing down, which should be enough for the majority of shooters. However, professional sports shooters would still probably want to steer away from the a6400 due to the one area where performance is hindered a bit: writing to the card. The a6400, like most cameras at this price point and market position, features only a single card slot. This card slot is an SDXC UHS-I card slot, so it can’t take advantage of the faster write speeds capable of UHS-II cards. As such, a full buffer on the a6400 takes quite some time to fully clear: around 40 seconds in my testing. This isn’t going to pose an issue for most photographers, but sports shooters may find themselves running up against the buffer constraints after several bursts in a row.